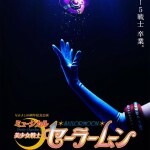 A ton of information about the Sailor Moon Le Mouvement Final musical has been released! The musical will start in September and run in three different cities in Japan, those being Tokyo, Aichi and Osaka. 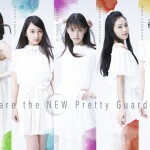 As expected this musical will cover the Stars arc of the manga, which has the Sailor Guardians joining forces with the Sailor Starlights to fight Sailor Galaxia. Check out the new cast members! Note that I don’t speak Japanese so for some of these I couldn’t get a good English version of the name so I just included the Japanese text. I’ll update those when I get some better into. 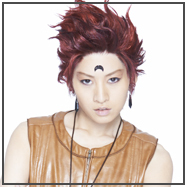 Seiya Kou, Sailor Star Fighter, will be played by Meiku Harukawa. Taiki Kou, Sailor Star Maker, will be played by Riona Tatemichi. Riona previously played Rubeus in the Petite Étrangère musical. 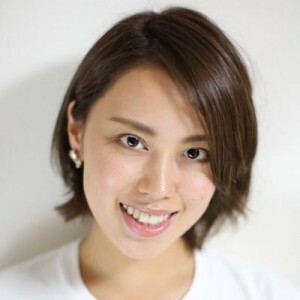 Yaten Kou, Sailor Star Healer, will be played by Saki Matsuda. 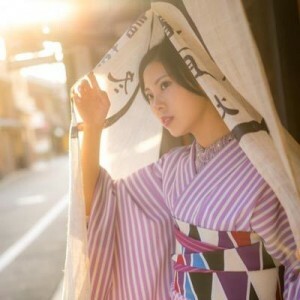 Princess Kakyuu will be played by 岡村麻未. 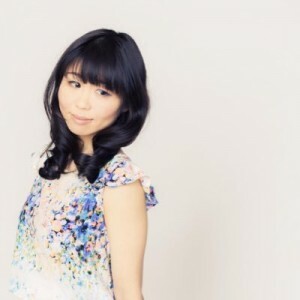 Sailor Galaxia will be played by Coco Isuzu (Twitter, Instagram). 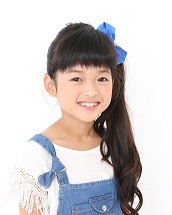 Sailor Iron Mouse will be played by Aoki Shion. 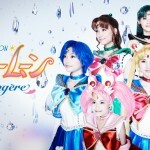 Sailor Tin Nyanko will be played by 橋垣美佑. Sailor Aluminum Siren will be played by 小林由佳. Sailor Lead Crow will be played by Juri Hirayu (Twitter, Instagram). There will be two actresses playing Chibi Chibi. 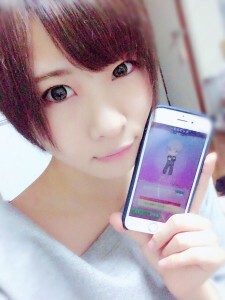 Hinari Yamaguchi and 新津ちせ. There will also be some dancers playing additional villains. These are 椎原夕加里,　肥田野好美,　匂坂あゆ美 and Ayano Nagasawa. A number of them played villains in past musicals. Performances in Tokyo will be from September 8th to the 18th. Performances in Aichi will be September 23rd and 24th. Performances in Osaka will be held from September 29th to October 1st. Will any of you be attending this round of musicals? This entry was posted in Sailor Moon Musicals and tagged Aichi, Chibi Chibi, Coco Isuzu, Galaxia, Hinari Yamaguchi, Iriya Yuuto, Le Mouvement Final, Meiku Harukawa, Osaka, Petite Étrangère, Princess Kakyuu, Riona Tatemichi, Sailor Aluminum Siren, Sailor Iron Mouse, Sailor Lead Crow, Sailor Star Fighter, Sailor Star Healer, Sailor Star Maker, Sailor Tin Nyanko, Saki Matsuda, Shion Aoki, Tokyo by Adam. Bookmark the permalink. I hope it’s not the last musical. I believe these names are correct. As long as we get a fifth season of Crystal, I don’t believe they will be skipped. Nah, I wouldn’t worry about that. I don’t see how the musical adaptation would have any effect on Crystal if a fifth season is made. If any of them are omitted, it’d only be because Toei still doesn’t know what they’re doing. Actually, this is exactly what I expected all along, but I still got hopeful reading down that list. 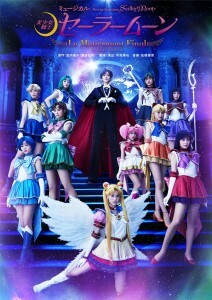 To me, this proves what I’ve always thought – these are musicals based on Sailor Moon, but they aren’t “Sailor Moon musicals” (or “seramyu”, to use that term). 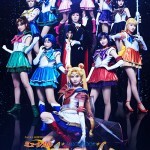 These are certainly adequate and there have been some good things in them (most of the music definitely not being one of those things), but that particular plot alteration defined that “version” of Sailor Moon, and for them not to use it – especially when the guy directing this is the guy who directed and wrote the original musicals that MADE that alteration….. I would just say, like most “remakes”, these musicals will fade away while the originals are still being watched, just like people will forget Sailor Moon Crystal ever existed after it ends. It’s just disappointing because it proves what I’ve kind of suspected since way back in the 90’s – that the guy who wrote and directed the first six musicals wasn’t the reason they were so good, and that his leaving really WAS the reason they got so much better after the sixth one. Oh well. I’ll just go be bitter, other people won’t even know what I’m talking about, and I’m sure the musical will be just fine. Now my last hope is they make a huge announcement on 30 June with news about the forth arc and a release date, because the wait is killing me. People, involved with the musicals never drag things, they are always on time, always producing a product good enough for the medium. TOEI take their sweet time producing unpolished and unfinished 13 episodes per year for a franchaise that made their fat asses even fatter! Although I have never been interested in the musicals. This seems to suggest they will be following the 90s anime or cut certain things out. I wonder if tuxedo would be there until the end as the poster seems to suggest he would be a main character, but then again so did the opening of the 90s anime and he was missing for most of the season. The manga arc was meh from what I read and suffered from too many characters not enough development and too few chapters. With the amount of characters she introduced and I think this might be the arc with the most villains she should have doubled the amount of chapters that she usually had. Not only that but other than Sailor Moon this was one of the arcs were the other characters (inners and outers) get so little story. I am waiting for the 4th season of crystal and hope it will be soon. Although I appreciate them taking the time to do the next season I am wondering are they planning for it or just delaying on purpose. I wish they did not reintroduce the outers as a group but had their own individual stories just as they did not get much development in the previous arc and Uranus and Neptune had to share an act. Pluto’s act was not even about Pluto, etc. Beautiful poster! I And love Sailor Saturn’s hair .